This book employs a computable general equilibrium (CGE) model – a widely used economic model which uses actual data to provide economic analysis and policy assessment – and applies it to economic data on Singapore’s tourism industry. 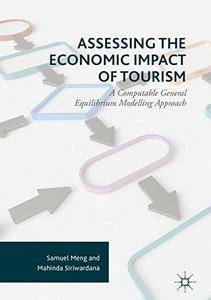 The authors set out to demonstrate how a novice modeller can acquire the necessary skills and knowledge to successfully apply general equilibrium models to tourism studies. The chapters explain how to build a computable general equilibrium model for tourism, how to conduct simulation and, most importantly, how to analyse modelling results. This applied study acts as a modelling book at both introductory and intermediate levels, specifically targeting students and researchers who are interested in and wish to learn computable general equilibrium modelling. The authors offer insightful analysis of Singapore’s tourism industry and provide both students and researchers with a guide on how to apply general equilibrium models to actual economic data and draw accurate conclusions.